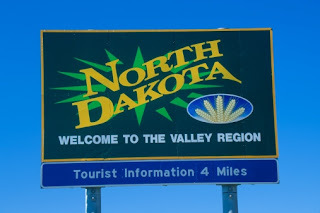 North Dakota Preps • View topic - Fighting Sioux??? Does anyone have an opinion on the NCAA ban on use of Native American Mascots? Last edited by Indians Alumni on Thu May 18, 2006 12:03 pm, edited 1 time in total. personally i find it just about as annoying as it gets when it comes to 'real problems' in the ncaa as well as the country. in all seriousness...i don't know if i can think of a more worthless topic for people to get stuff about, yet both sides appear to be up in arms about it. i want it to go away and at this point i don't actually care which side 'wins'...some court needs to just make a decision and get it over with. I don't know if some people would consider it a worthless topic, I think it is topic that has been put on the back burner too long! I see both sides, but I am leaning more towards getting rid of the mascot/nickname. Sioux is word used by the French for Dakota/Nakota/Lakota people. It means Snake or, in the lines, of Snake in the Grass. You take a look at some mascots, they parade around mimicing Native American Culture & Dance. What would happen if we started doing that for Jewish people, Black People, or White people. There would be holy-heck to pay. So what makes it right? Throwing money at the Native American population doesn't make it right either. When Native American Mascots Dance or Mimic, they are poking fun at the culture and religion. People will say, "no that is not it at all!" but that is it! How is that not poking fun at the culture? Do we mock Catholics, Jewish People or any other religion. Native Americans are people/culture/religion, they are not a mascot or nickname! "personally i find it just about as annoying as it gets when it comes to 'real problems' in the ncaa as well as the country. " You are on a ND Sport Web Forum, what did you want to discus, world peace? What is more important in NCAA that requires more attention? Last edited by Indians Alumni on Thu May 18, 2006 12:00 pm, edited 1 time in total. some people may not consider it worthless....i do. there is no 'right' and 'wrong' with it...there is only lawyers getting rich. and i'm certainly not going to waste any time arguing about it, because arguing about this is like arguing about the topic of abortion: some are really for it and some are really against it and neither side is going to see the other side's point of view, so why beat your head against a wall trying. rep wrote: some people may not consider it worthless....i do. there is no 'right' and 'wrong' with it...there is only lawyers getting rich. How can you compare the two? Racism and Abortion? I do not see the co-relation that you are trying to get across. Last edited by Indians Alumni on Thu May 18, 2006 12:28 pm, edited 1 time in total. there is little that abortion and the und mascot topic have in common except that both sides of the argument are pretty certain they are right and refuse to conceed the other's point. I really dont see the point in all of this nonsense. The name has been around for how long now, and now they want to get rid of it? Leave it be. I have no problem with the NCAA's decision. It's their organization if UND doesn't like it 1) Take it to court 2) Don't change it and face whatever sanctions they get 3) CHANGE THE NAME 4) Find a different organization that will allow it like NAIA. Actually NAIA cracked down on that also. If we are going to crack down on the NCAA for these names and logos I think we should start with our own high schools with there mascots. You still have savages, and warriors and other names out there nation wide. If we are going to change it in the NCAA Lets change it at our high schools. Let me play devils advocate for a second, if I may. Wahpeton is no longer the Wops, Devils Lake is no longer the Satans, and St. Johns University(NY) is no longer the Redmen. Has the result of these changes been mostly positive or negative? I recall being able to buy t-shirts depicting a Native American caricurature and a Bison involving sexual relations during Bison/Sioux week. I think actions like these are what the NCAA is trying to get away from. And since there are no laws to enforce regarding it, what they are doing is taking away the impetus of the Native American mascots. I try to stay out of the argument, but to turn a blind eye to actions like that isn't right either. I'm just glad it's not up to me to figure out a compromise on this. Getting Endorsements from the tribes is good and bad. Good because Tribes can now have a word in the name, bad cause, most schools are buying their Endorsements. Take for instance the new Scholarship Endowment UND is offering now. "The Sioux Scholarship Endowment", this is a scholarship offered only to Sioux people. This is not a Native American Scholarship. Last edited by Indians Alumni on Thu May 18, 2006 1:08 pm, edited 1 time in total. Why doesnt anyone complain about the Washington Redskins? I am Irish and I'm not offended by the Fighting Irish and their mascot being a leprechan. Last edited by Ming01 on Thu May 18, 2006 2:22 pm, edited 1 time in total. The Washington Redskins is a whole different story the NFL would have to deal with that, NCAA has nothing to do with them. With the Fighting Irish you have thousands of Irish and Catholics saying fighting Irish struggle. Your not gonna go to a Sioux hockey game and see a bunch of Sioux yelling out Sioux struggle or have t-shirts like Batman had mentioned. With the Fighting Irish you have thousands of Irish and Catholics saying fighting Irish struggle. Your not gonna go to a Sioux hockey game and see a bunch of Sioux yelling out Sioux struggle or have t-shirts like Batman had mentioned. In making your point I think you actually inadvertently made the point as to why this whole issue is over blown. Just my 2 cents. I guess I was trying to say you can't compare Fighting Irish and Fighting sioux together. ndfan wrote: The Washington Redskins is a whole different story the NFL would have to deal with that, NCAA has nothing to do with them. With the Fighting Irish you have thousands of Irish and Catholics saying fighting Irish struggle. Your not gonna go to a Sioux hockey game and see a bunch of Sioux yelling out Sioux struggle or have t-shirts like Batman had mentioned. I know its different, but why doesnt anybody complain? Maybe the Redskins are helping pay for new casinos. Last edited by Ming01 on Thu May 18, 2006 7:12 pm, edited 1 time in total. Ming01 wrote: Why doesnt anyone complain about the Washington Redskins? I am Irish and I'm not offended by the Fighting Irish and their mascot being a leprechan. Do you celebrate your culture, do you do cultural things? Native Americans hold pride in their culture, it is a religion. Does Notre Dame poke fun at your religion? I do not think they do! The War Paint, the dancing, that is all part of the Native American Culture/Religion. "Maybe the Redskins are helping pay for new casinos." That is an ignorant and racist comment. I do not see how their point makes it look like the issue is overblown? You need to clarify! The whole mascot Cartoonizes Native Americans. I do not think I want to be remember as a cartoon. Sioux is not even a Native American word, it is a French word. I seem to recall that there are protesters at almost every home game in Washington. The NFL and media outlets don't like to give them any publicity for obvious marketing reasons. Just do a search on Redskins protest, thousands of examples. Everyone is cartoonized in sports. Name one mascot that isn't a cartoon. I think that the Notre Dame "Fighting Irish" is the best example. Who is that little crazy cartoon. I don't know any irish people who look like that. I don't know any irish people who fight more than the average person. I am irish. That name and that cartoon and the people who scream "irish struggle" never offend me. In fact, until the whole fighting souix deal blew up, i never even thought about it. As a Dakota indian and a UND alumni the whole name change is a bunch of nonsense. I am not offended by the nickname but wouldn't care if they changed the name. My opinion is that it is offensive to a number of natives and non-natives so change it! I will still support my alma mater both athletically and financially, regardless. The consensus on the rez seems to be that there are bigger problems that we need to address here rather than get riled up about something so silly as a nickname. Peace. If it offends people why not get rid of it? If the Fighting Irish names started to offend people you would know dang well that name would be pulled. I think there is enough people who are offended by the use of the Fighting Sioux name to change it. To comment on Nativegolfers comment, there are other issues on the reservation that need to be addressed, but there is another world outside the reservation lines. Do you want the rest of the world to see you as what these mascots portray? If they do keep the name, then have a mandatory class in Native American Culture or something along that lines. I know some colleges make it mandatory for Education Majors to take it in ND. I used to have the same opinion, it didn't bother me, but my consept of being Native American and what is portrayed by colleges and pro teams is a lot different. That is what changed my mined. I am not Sioux, I am Dakota! Last edited by Indians Alumni on Fri May 19, 2006 6:10 am, edited 1 time in total.